Product prices and availability are accurate as of 2019-04-17 07:11:00 UTC and are subject to change. Any price and availability information displayed on http://www.amazon.com/ at the time of purchase will apply to the purchase of this product. Construct to endure with The Snow Hideout! 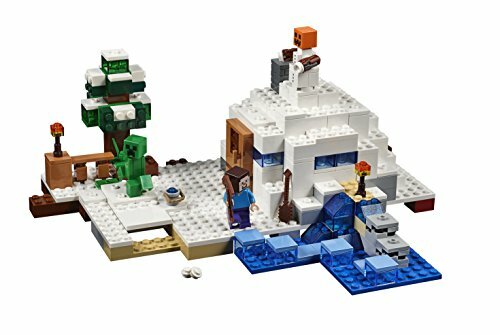 Construct The Snow Hideout, featuring a Creeper with explode function, Snow Golem with shooting function, crafting table, Steve and more. Construct The Snow Hideout! You have actually ventured out on an icy mining expedition, but the sun is moving towards the horizon and hostile mobs will certainly soon be roaming this snow-covered landscape. Put down your wooden pickaxe, store your freshly mined coal and construct to endure! 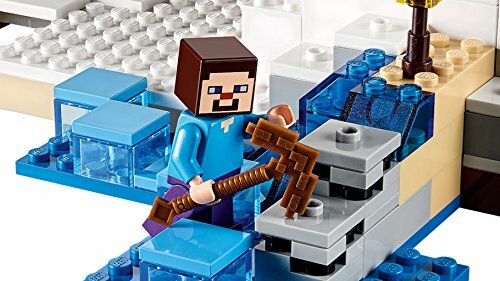 Use your wooden shovel and the crafting tables to craft snow blocks from the drift, then take your bucket and scoop water from the lake to create ice-block windows. Craft a door and construct a nether rack fireplace and chimney. Finally, construct a Snow Golem to fend off the blowing up Creeper that wanders after nightfall and you're all set for action! 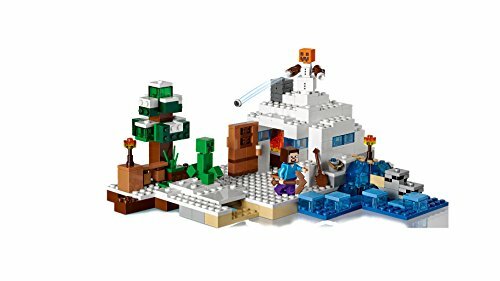 Restore the set for more LEGO Minecraft creations! 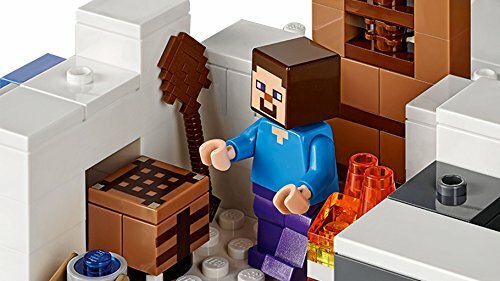 Consists of a Steve minifigure with various accessories, plus a Creeper with explode function and a Snow Golem with snowball-shooting function. 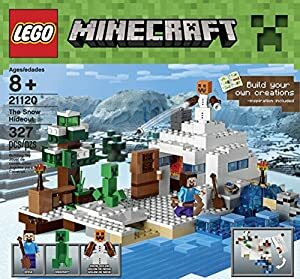 Functions a shelter with opening door, nether rack fireplace, crafting table, bucket, 2 buildable torches and snowy tree, plus transparent ice block elements and 2 brick-built coal ores.